To feel the timeless tradition, culture and heritage of the Sultanate of Oman, and to acquaint themselves with Oman’s history and civilisation through various eras, as many as 52 Ambassadors Permanent Delegates to UNESCO are beginning a tourist-cultural tour of Oman today in the backdrop of Muscat being the Capital of Arab Tourism 2012. Organised by the Ministry of Education in collaboration with the Ministry of Heritage and Culture, Ministry of Tourism, Office of His Excellency Adviser to His Majesty the Sultan for Cultural Affairs and Oman Air, the one-week-long tour will help the ambassadors gain in-depth knowledge and information about the ancient historical heritage and the great cultural and modern landmarks of the Sultanate, especially the sites which were recorded in the World Heritage List. The team will be led by Dr Sameera Mohammed al Moosa, Permanent Delegate of the Sultanate of Oman to UNESCO. The team which arrived at the Muscat International Airport from Paris yesterday, was met by Dr Madeeha bint Ahmed al Shaibaniya, Minister of Education. “The tourist-cultural visit aims at familiarising the UNESCO Ambassadors Permanent Delegates from different countries with the various touristic assets that Oman is proud to have,” says Sultan Saif al Salami, Director, Public Relations, MoE. “This will also help bridge cultures and develop co-operation between the Ambassadors and the officials in Oman as they will visit different tourist and cultural sites and meet with various ministerial representatives including ministers and officials,” Sultan who is also the Director of the Organising Committee added. “The tour programme will include visit to heritage sites and meeting with key decision makers in Oman,” says Sulaiman al Mabsali, International Relations Specialist at the Ministry of Education. Today, the Heads of Groups of the Ambassadors will meet with Sayyid Bader Humood al Busaidi, Secretary-General of the Ministry of Foreign Affairs, followed by sightseeing around Muscat. The guests will also be attending the official dinner hosted by the Minister of Education at the Chedi. In the following days, the delegates will be visiting Salalah where they will be given a glimpse of the Frankincense Trail followed by Al Baleed Historical Site and Khor Rori 'Sumuhram' which is on the World Heritage List in the year 2000 for being an important part of the Frankincense Trail. They will also pay visits to the Al Dakhiliya Governorate to see the Jibreen and Bahla forts and Falaj Daris, which is a creative irrigation system developed by the people of Oman more than 2,000 years back. 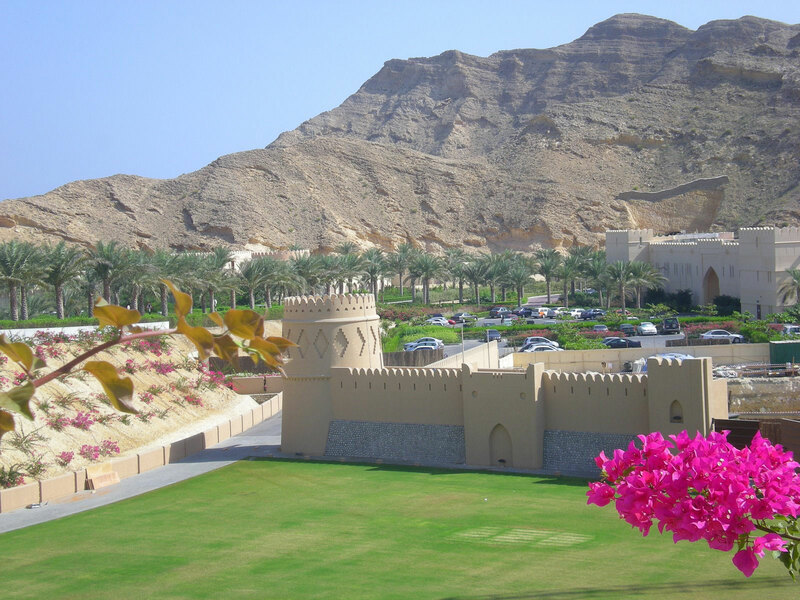 The guests will also visit the nearby Nizwa Fort and Souk. A visit to the Sharqiyah Governorate will see them experiencing the night in a camp in the middle of Sharqiyah desert which is one of the best desert camping areas. A tour around the landmarks of Muscat like the Grand Mosque, Royal Opera House, National Museum and Muttrah Souk is also charted as part of their itinerary. Besides the meeting with the Minister of Education, the Ambassadors Permanent Delegates to UNESCO will be meeting with Dr Yahya bin Mahfoudh al Mantheri, Chairman, Majlis Addawla, and with Ahmad bin Nasser al Mehrzi, Minister of Tourism in the coming days, the spokesperson at the Ministry of Education added.